If you’ve got a little extra time off around Easter this year, and you want to devote it to spending more time with the family, then there’s plenty of great places you can go to get away from it all and have a little fun in time for the chocolate-focused celebrations. If you want a little vacation, but you don’t want to have to worry about things like flights and train fares, then you might consider taking a brief drive through the UK to see what’s on offer. 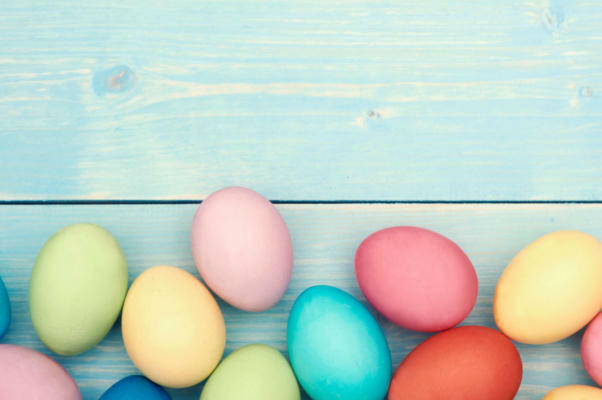 Here, we’re going to take a closer look at the Easter activities on offer around the UK this year, that you might be able to get involved in. Whether you’re looking for a getaway that’s close to home, or you want to stay somewhere within driving distance, the chances are you’ll find something for everyone in this list of 20 things to do over the Easter weekend. If you’re looking for a beautiful way to celebrate the first weeks of spring, then why not take a trip to the Royal Botanic Gardens. The Kew Gardens are fully in bloom in time for Easter, and they usually have a host of celebratory activities on hand to keep everyone happy. For instance, children will be able to join along with Shaun the Sheep on his own adventure, while older kids can enjoy workshops and art exhibitions. The events take place over Easter Weekend, and can be found in Kew, Richmond, in Surrey. Children get in for free. If you’ve ever fancied a trip to London that wasn’t all about checking out Buckingham palace or some of the more common tourist attractions, then you’re sure to love this Easter celebration. The London Dungeon ignores the fact that most people celebrate Easter with cute chicks and fluffy bunnies, by putting a sinister twist on the entire weekend. As you move through around a thousand years of London history, you’ll meet a notorious poisoner called Miss Edmunds, and check out her sweet store that’s full of chocolate. Although you can purchase these macabre treats for yourself, it’s worth noting that all of the chocolate is totally edible and safe. The event runs from March 18th until April 12th at the London Dungeon, in Greater London. If you and your kids love everything there is to love about trains and other forms of old-fashioned transport, then Easter is a great time to celebrate your interests in full English style. This steam and transport event is a fantastic carnival for all ages of people, and your ticket swill include access to the steam funfair, as well as street entertainment, circus acts, live music, and more. You can find all of the action up to April 7th at Chatham Historic Dockyard in Kent. However, even if you miss out on the Easter celebrations, it’s still worth visiting for a fun day out for all the family during the Easter break. Ducks and chicks make up a pretty natural part of Easter for most children celebrating the big day. In fact, they’re some of the most iconic images of the season, besides chocolate eggs. With that in mind, why not make den building and duck racing a part of your Easter fun this year. First, all you need to do is purchase your duck for a small fee, and then you can make your way down to the Mill Copse and enter your duck into the race. As the day goes by you will follow your racing duck down the river to find out whether you’re going to be the winner. If you haven’t had enough excitement for the day after all that, you can find a park ranger who will help you to build a den for your whole family using the natural surroundings. This all takes place on April 7th, at Mill Copse in Montacute House, Somerset. Enjoy a folksy Easter holiday at Dartmoor this year. All you need to do is grab a couple of sticks and get ready to jingle along to the music, discovering the history and landscape of Dartmoor with your entire family as you enjoy an old-fashioned and inspiring tradition. If you end up tiring yourself out with all the dancing and festivities, you can always take a break to sit down and watch some of the plays being performed by Mummers in the great barn. All of this action takes place between 1pm and 3pm on April 12th, in Buckland Abbey, Garden and Estate in Devon. Speaking of having a more historical, and cultural Easter experience, if old-fashioned experiences are right up your street, then you should consider heading down to Corfe Castle in Dorset somewhere through March and April. Visitors can enjoy plenty of medieval entertainment, view demonstrations that help them to imagine the days of old when it came to combat, and check out the longbow too. It’s a great time to visit during Easter when the weather is a little warmer, but we’d recommend checking the forecasts in advance before you head to Dorset, just in case. If you’re bored of searching for Easter eggs, or you simply want something different to do when you’re waiting for the big Easter weekend to arrive, why not head down to Sheringham Park in Norfolk. The area comes to life during spring, and the woodland garden is sure to be in full blossom, meaning that you can enjoy a great combination of brilliant costal views and soft flowers and pastel colors too. Starting with an adventure at the Sheringham seafront, you’ll be in the perfect position to explore plenty of tidal pools and beach fronts to find sea life and shells. This event takes place on the 6th of April, but you can visit just about any time as long as you book in advance. Easter isn’t just about bunnies and chicks, there are plenty of beautiful wildlife that start to raise their heads once again during the Spring and summer months. If your children love seeing animals, why not head down to River Wye, in Herefordshire, where you can paddle through the rapids and find everything from otters, to kingfishers. This is a fantastic alternative activity for kids and adults over Easter, although you will need to be careful about taking children that are very young along for the ride. The river includes grade 1 and 2 rapids, which can be unsuitable for smaller children. Speaking of checking out the wildlife, why not catch a glimpse of some of the most beautiful and mysterious birds around at the small breed and owl center in Kington, Hereford, in Herefordshire. Not only will you get a chance to get up close and personal with these incredible birds, but you’ll also be able to hang out with ponies, squirrels, goats, and more. Easter egg hunts are one of the most exciting parts of Easter for most children, but this particular treasure hunt takes a more educational approach to the experience. You can hang out with the Easter Bunny in Burghley House, in Stamford, Lincolnshire, between the 5th and 12th of April, and experience a Tudor-inspired hunt for treasure across the massive stately grounds. You’ll also get a chance to take in all the beauty of the private south gardens, which aren’t often open to the public in most cases. For an extra treat over the Easter holidays, you could also head back to the garden between the 11th and 12th of April to check out the fine foods market in the local courtyard, where you’ll be able to buy plenty of delicious fresh produce and incredible treats. When hunting for eggs in The Trentham Estate, in Stoke on Trent, you’ll have to make sure that the moneys don’t get to the chocolate before you do. From Easter egg hunts in the Money forest, to barefoot walking experiences throughout the gardens, you can do everything from taking a wilderness survival course, to taking a horse-drawn carriage ride in this wonderful local getaway. Younger children might also enjoy a chance to collect clues for the chance to win their own toy, or taking selfies with the fairies. Events run all throughout April, so you shouldn’t miss your chance for fun. If the weather is good enough, then Spring and Easter could be the perfect time for you and your family to take a stroll through one of the most beautiful and dramatic areas of national park in Britain. The Exmoor national park features one of the deepest river gorges in the country, and provides a stunning haven for everything from salmon to birds, otters, and butterflies. Just make sure that while you’re strolling, you take some time out to visit Watersmeet House, a fishing lodge taken straight from the nineteenth century. If your kids prefer hunting through the ocean than hunting for Easter eggs, then head down to “The Deep” aquarium. Here, you can see over 3,500 different fish, including sharks, rays, a colony of penguins and more. If you follow the shark egg trail in Tower Street, East Yorkshire, then you could have the chance to win a wonderful chocolate treat. If your kids love history, or you’re simply trying to encourage them to get more involved with their education, then head to Hadrian’s Wall for an Easter adventure. Here, you’ll meet characters taken straight from Roman times, and joint hem on their quest to uncover hidden clues. Of course, because it’s Easter, you’ll not only have a chance to get more hands-on with history, but the kids will get a chocolate reward at the end too. If you live close to Wales, or you don’t mind driving a little further afield for your Easter experience, you can spend a day in the life of a sheep farmer in Brecon Beacons, on the 18th of April. Here, you’ll collect eggs to take home with you, feed the hungry lambs, and enjoy a home-made meal after wandering around the farm. Take a race against time and try to discover as many species as possible within a particular place. By joining up for this Spring-time event, you can help conservationists within Wales search for the various signs of wildlife in the area so that they can thrive. You’ll find this event in Cwn Tydu, between the 11 and 12th of April. Okay, so this idea might not be perfect for the kids, but it’s definitely a good way to spend your Easter if you’re a little older. The festival in Dobbie Hall, Stirlingshire will give you an opportunity to enjoy real ales, made with real ingredients, and old-fashioned methods for fermentation. Across the weekend, you’ll enjoy a wide collection of ales from across Scotland, and get the chance to try Perry and real ciders alongside entertainment and hot food. The museum of rural life has something for everyone, from den-building opportunities to arts, crafts, storytelling and photography. This option is a must-have for people seeking out a range of different activities over Easter. You’ll find the Museum in Glasgow, Lanarkshire. During the Bangor Easter Parade, you’re sure to enjoy plenty of swashbuckling pirate-themed fun. Families can watch motorcycle trials, climb around pirate trains, build their own hats and swords, and join in a fantastic parade too. It all takes place at the Bangor Visitor Information Center, in Bangor, Down. Finally, take the family for some carnival fun at the discovery and science center in Belfast. Throw balls at virtual milk bottles, and play various Easter-themed games to win a prize. The event takes place from March 28th to April 12th, at 15 Odyssey, Belfast.